The Iron Lady, long may that saucy minx reign! 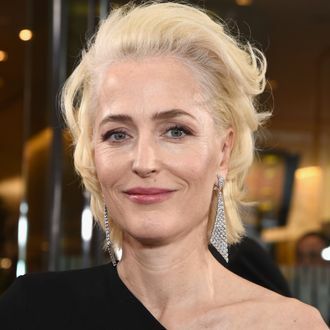 Gillian Anderson has signed on to play former Prime Minister Margaret Thatcher in Netflix’s The Crown, which is excellent news, and will serve as the chaser for this somewhat bad news: Deadline confirms she won’t be appearing on the show until the fourth season, meaning we’ll likely have to wait about two years until she pops up in our queues. (Hey, as much as we’d like to change the course of history to get her on sooner, we just can’t. She gets elected in 1979!) At least season three will bring us various new characters, such as a young Camilla Parker Bowles, a potentially too-hot Prince Charles, and, well, the entire royal family. Rule Britannia!